Bought at auction. 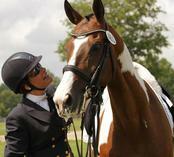 In 2 years, earned USDF top 13 ranking for Horse of the Year honors at First Level in 2006. Achieved my USDF Bronze and Silver with scores and is currently showing Grand Prix successfully. I received my USDF Gold Medal in 2015 on this horse. It is such a joy to compete on a horse I trained myself. 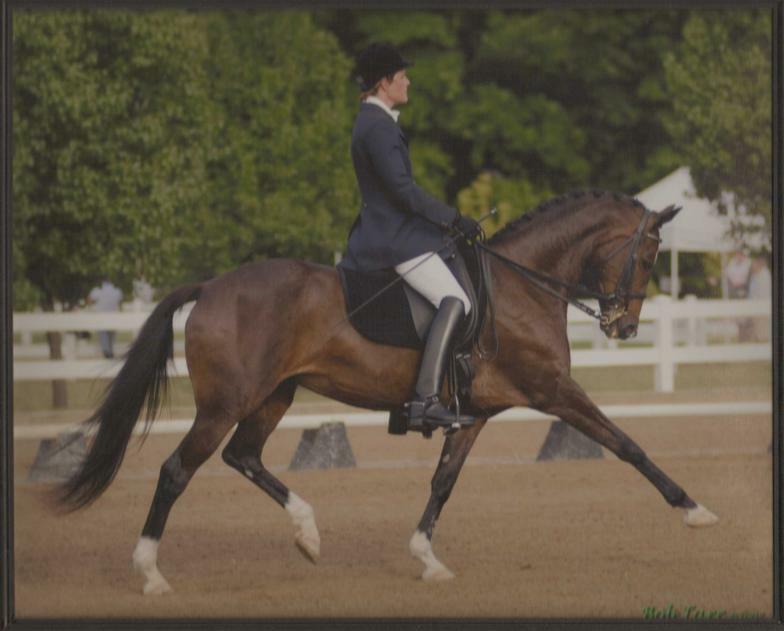 ​My experience in hunters, fox hunting, eventing and being a pony clubber has brought me to my true love, Dressage, with a little eventing/jumpers. I was lucky enough to live every little girls dream. I have been riding since before I could walk and the horses and I have a special relationship because of it. I am very driven and take my goals very seriously. Hard work and a clear vision have always been the keys to my success, as well as my students. I have trained my current horse, Handsome from a 3 year old auction find, up the levels to earn to my USDF Bronze, Silver and Gold medals. 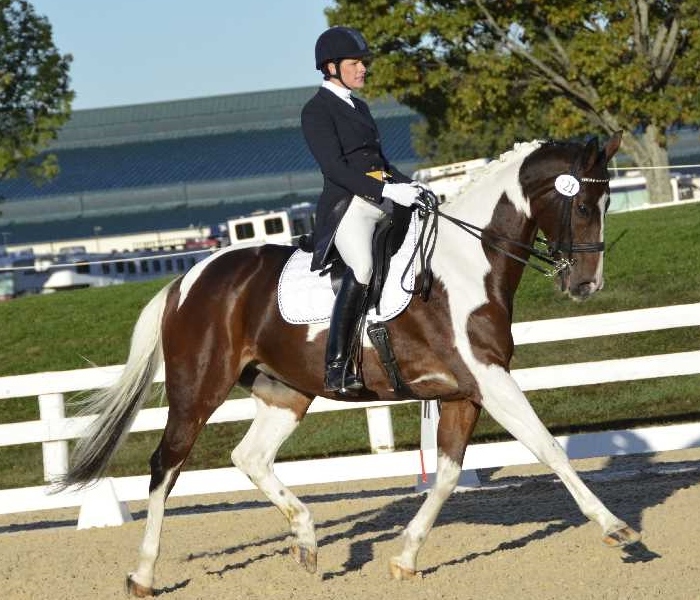 Most recently in the 2018 USDF Dressage Nationals, we placed in the top 10 in I2. If I have to list accomplishments, the awards are there, but for me, bringing along my horse, Handsome, that I was told would “will never be a Grand Prix caliber horse” and succeeding is probably my highest accomplishment. I am driven by a challenge. If my students are afraid or lack confidence, my job is to teach them the tools to move beyond their fears. A relaxed confident rider giving clear, correct direction to their horse are the keys to having a successful ride and moving towards your riding goals. I work to help riders relax and feel what their horse is doing right and help them to softly correct them when they need it. 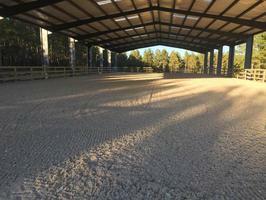 I believe horses that are treated fairly and enjoy their training, will work very hard for their riders. 16.3 hand , 5 year old OTTB. Taking it slowly with this youngster as he is a young 6 year old ( more like 4) Lovely mind and exceptional gaits. He will continue his career in Dressage and Eventing as he loves to jump.